You are here: Home / Fun Game / Bowling / How much does it cost to drill a bowling ball? How much does it cost to drill a bowling ball? Wondering how much does it cost to drill a bowling ball? Bowling ball drilling refers to the process of making new finger holes in a bowling ball with the help of a drill. If you are a beginner, you might not be familiar with the concept of drilling in which case you will find this article will help you. What does polishing a bowling ball do? What is the most expensive bowling ball? How much does a bowling ball cost? On the other hand, if you are someone who is experienced in bowling, chances are that you know how important a process drilling is. The holes in a bowling ball can make a large impact on the game, and also dictate your progress. 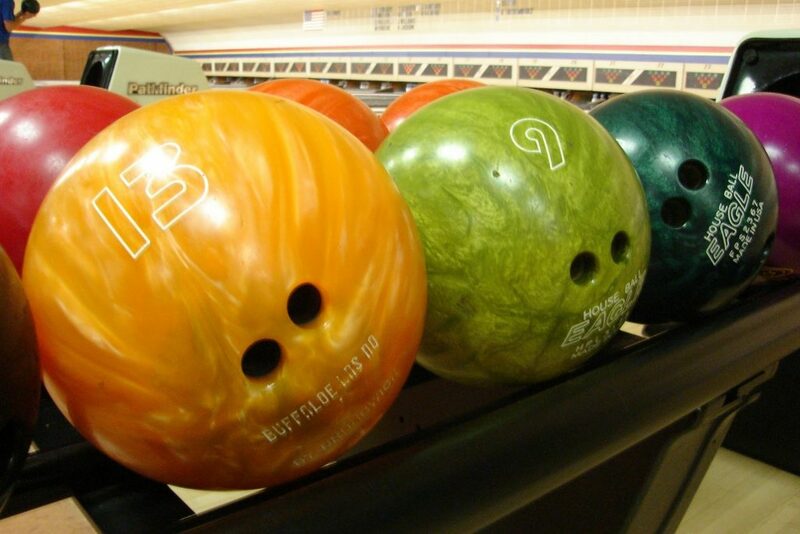 Some bowling balls come with pre-drilled holes, but most new balls usually come solid. They do not have pre-drilled holes, and the onus is on you to make them based on the measurement of your fingers. Unless you are very good with a drill, you should not attempt it by yourself as you may end up sustaining injury. The best solution would be to get the customization done at a pro shop or any sporting goods store. The company which makes your bowling ball will not bear the cost of the drilling so that it an additional expense for you to bear. However, it is an advantage in the long run because you will be able to customise it just for yourself with accurate measurements. Most of the times, you will be given the option to either have the ball untouched or drilled, depending on the company. If the finger holes are pre-drilled, there is a very high chance that its measurements will not be exact. On the other hand, if you have the drilled holes customized, then will fit your hand perfectly making it easy for you to play the game. However, with the pre-drilled option, you will not have to pay any extra charges for the drilling service. It is a standard task that they include in the cost because they are not having to make any adjustments. They will give you a grand total with the drilling price included. Beginners and recreational players might like their bowling balls to come pre-drilled because it reduces hassle for them. Moreover, they are starting out slow which means that it will not make a world of difference to them. Professionals, however, find it better to have customised finger holes so that they have better control over the ball when playing. This is where professional drilling services come in. You can go into any bowling pro shop or retailer, and they will do the job for you. They will charge you a certain amount for the drilling that you will have to pay for by yourself. You have to pay an amount anywhere between $20 to $50 to get the drilling done according to custom measurements. Sometimes, offline retailers do not charge you a drilling fee if you have bought the ball from their location but you cannot that for granted. Companies which bill for the drilling separately can charge $10- $20 if you want the holes to be drilled according to your finger measurements. Ideally, you should go for reputed dealers who are willing to give you the flexibility of choosing what you want. Expensive companies tend to treat drilling as a separate service and can charge up to $70 when you avail their customized drilling option. The quality of the ball plays a role in determining the final price. Players who bowl for recreation should go for the basic drilling services that are priced at $30 to $50 in any neighbourhood sporting shop if the balls have not come pre-drilled. On BallReviews.com, members reported that they had paid $50 to $65 in order to get their blank balls drilled. When it comes to drilling, there is also the concept of drilling protection which is usually not directly included in the drilling fees. Drilling a bowling ball can be a delicate task because nobody wants to take the responsibility of a broken ball. The material with which a ball is made determines how easily it can crack when being drilled. The drilling protection charge is meant to act as insurance against the ball suffering any damage. Most stores offer this protection service at a price of $5 to $10 which is not that expensive. If you want some extra features in your bowling ball like upgraded finger inserts or thumb slugs, you will have to pay an additional charge. Each of these products tends to cost somewhere between $10 and $15. It’s your answer to how much does it cost to drill a bowling ball. Try looking for the perfect deal! Cleaning For The Holidays- Is Your House Visitor Ready?